In fact, on the real Mars missions, some of those project must be collaborate with earthling supporters. Because we, marsnauts never living alone. So today’s commander report and photo report become an example of a collaborated work with a specialist from Earth. The following article based on commander’s recollections, written by Taro Karasaki, Japanese writer of Asahi Weekly. And Crew191 did an outreach EVA today, to shoot some photos correspond related to the article. 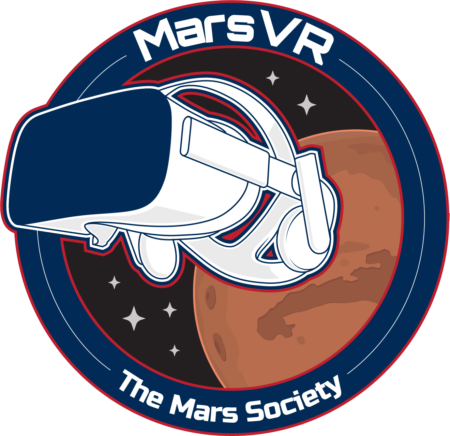 Enjoy “A Day on Mars” adventure ! Before our eyes was Olympus Mons, the tallest peak on Mars — in fact, the tallest known volcano in the solar system — its ridge glowing in the sunlight. “Not again,” I said rolling my eyes as I watched the latest addition to our Mars exploration team, flailing her arms. Emi is a personality-turned-essayist assigned to do a column for Asahi Weekly about life on this red planet and how English is being used by the crew as the lingua franca for space missions. Since Emi arrived a few weeks ago, I found myself frustrated every time she whipped out her smartphone. Just when I thought she started to calm down after being warned of the harsh environment around us at base camp, one step outside she was back to her old self. I tried to calm myself by reminding myself how I reacted when I saw my first crater two years ago. Pretty much the same – After 270 days confined aboard a crammed spaceship, you want to stretch out. I was also all too aware that our company went out of its way to enlist Emi, whose spunky and outgoing character could help boost interest towards the Mars development project, and hopefully, our publication. But we had an agenda – aside from taking photos and doing a video report today, we had to assist our geologist in collecting samples and keep alert for any signs of danger – and only an hour’s time during our EVA (extravehicular activity) to do it all before jumping back in the pressurized rover and returning to base. We couldn’t put our mission, or our lives, at jeopardy so that one reporter could update her Instagram account. Calmly, I asked Emi the million-dollar question. Completely excited about her first long distance roving mission, Emi had forgotten what I asked her before we left base camp. She hadn’t noticed the flag markers that were meticulously set up every 500 meters to mark the safest and fastest course to Mount Olympus. The first mission spent weeks braving sandstorms to set up the markers. Pretty soon she herself would be in charge of marking a new route. I have spent the last two years as a journalist documenting the construction of our base, the first step to creating a colony for possible emigration. So what is an ordinary guy like me – who failed math in high school and is not particularly athletic type – doing up here, you may ask. I am one of a group of “generalists” who hail from various backgrounds and include teachers, sports trainers and carpenters. We work alongside the specialists – scientists and pilots – in the Mars mission. “There is room for everyone up here,” as my mentor, Yusuke, a veteran Mars mission member, told me before I left Earth. Eventually, more people like us will be needed to create a sustainable environment in space. As for myself, along with assisting the specialists (whom I observed and collected notes on during our long flight) I try to use my reporter’s eye to look out for slight changes in human behavior, which could help prevent unwanted tensions in our closed environment. Sometimes a little small talk can do wonders to soothe nerves. In addition, I also studied horticulture before embarking on this mission, and I it’s my duty to take care of the vegetable patch at base camp. Our rover rumbled to a stop. I watched as Emi eagerly got into her spacesuit before the seat belt signs were turned off. As I saw her nimbly walk to the hatch, I knew I needed to interrupt. “Aren’t we forgetting something? Don’t make me write your obituary.” I tried to get the message across without sounding too harsh: Anything can go wrong. A sandstorm could suddenly wallop us. A system malfunction could interrupt our fieldwork. We needed to stick to the rules as there is little leeway for error. “Rodger that,” she grumbled, before going through the routine check to see if the oxygen supply was working and all communication systems functioned. “Wow,” was all I could say. Rising over 20 kilometers in the sky, or more than twice the height of Mount Everest, Olympus Mons was formidable. What looked from our spaceship like a blister rising up from the otherwise smooth terrain was now a massive wall standing imposingly before us. We cautiously approached what appeared to be a ledge. Surrounding Olympus is a deep trench, measuring about two kilometers deep in some places. Keeping one eye on my colleague as she busily snapped away at the chasm and the giant formation rising before us, as well as our geologist, I quickly retrieved vials containing soil samples that might give us a better idea about what Mars was like when water is said to have existed in abundance on its now dry surface. After labeling them, I placed them in order in the carrying case. “Taro-san, your space pen,” I turned around to see Emi standing beside me. “It looks like you’re running out of ink.” I looked down at the vials. She was right. I could still read what I had written, but the lines were getting thinner. Emi offered her brand-new pen. Before we know it, our time is up, and we climb aboard the rover. The drive back to base camp is long and our mission is not yet over. We still have to drop off extra fuel cells at depots along the way so that the next team won’t have to worry about running out of power when they come out here. And there is some unfinished business for Emi. “Remember to keep an eye out for those flags,” I tell Emi, and she nods, her pen and notebook in hand. Emi smiled as she heard my stomach growl. We had now entered the base camp and removed our gear. It had been a long day, and I’d forgotten all about eating. I am told that a sukiyaki party will be held – a ritual to greet our new team members and send off those who will soon finish their tour of duty. While it will be mostly freeze-dried beef, tofu and konnyaku (devil’s tongue), at least the shungiku (garland chrysanthemum) and green onions will be local produce. Already I’m worrying again if the crew that stayed behind heeded my words and harvested the right batch and left the young leaves to grow some more. There is so much I have to pass on to Emi and so little time. And there are things she must learn by herself. For now, at least, it’s probably time to sit down and enjoy a well-deserved meal. 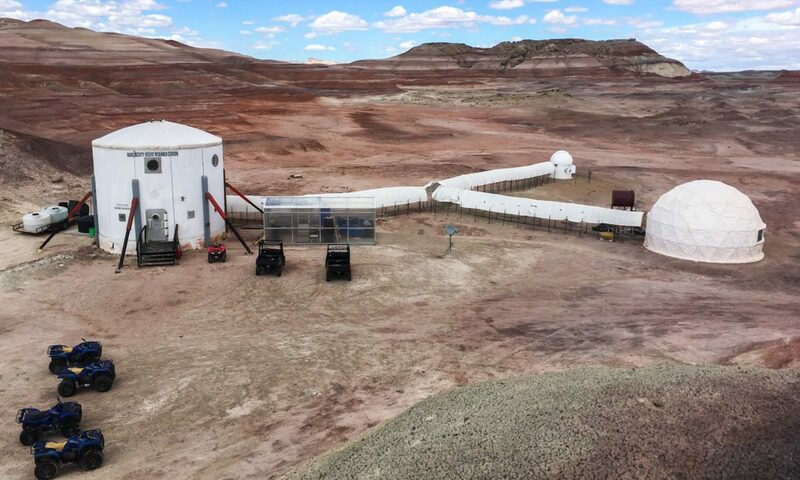 We are proud to announce that an article titled “A Day on Mars” collaborated with MDRS Crew191 Commander Yusuke Murakami, will be published in the April 1 issue of Asahi Weekly in Japan. This week, our travelogue writer takes us to Planet Mars. The third planet in the solar system is known for its diverse terrain, and its tallest peak Olympus Mon rises above 20,000 meters. As you may be aware by now, April 1st is April Fools’ Day. In many countries, newspapers prominently run articles with such outlandish headlines as “Martians Visit Earth.” The Asahi Weekly took the liberty to run its own “April Fools’ Day story.” Since the 1960s many countries have sent Mars probes in hopes of observing the red planet. However, no human has actually stepped foot on Mars. On the other hand, there are people who have experienced living for prolonged periods of time in environments similar to that on Mars. In a bid to create a realistic feel, we sought the advice of architect Yusuke Murakami, an expert in architecture in extreme environments. 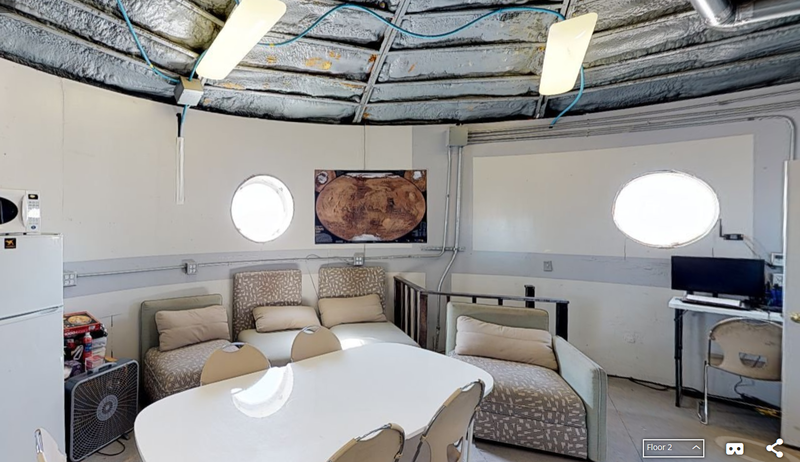 Murakami participated in simulated long term missions at Arctic and desert facilities organized by the U.S.-based “The Mars Society.” The article is based upon recollections of his experience in these remote and harsh environments. A point made repeatedly by Murakami during our interview and worth mentioning: As mentioned in the travelogue, in the future, those who will be involved in the exploration of Mars will include people hailing from a wide background of careers and walks of life; not just “specialists” as pilots and scientists. When you come to think of it, travel to Mars — and a travelogue — may no longer seem like an “outlandish” story after all.